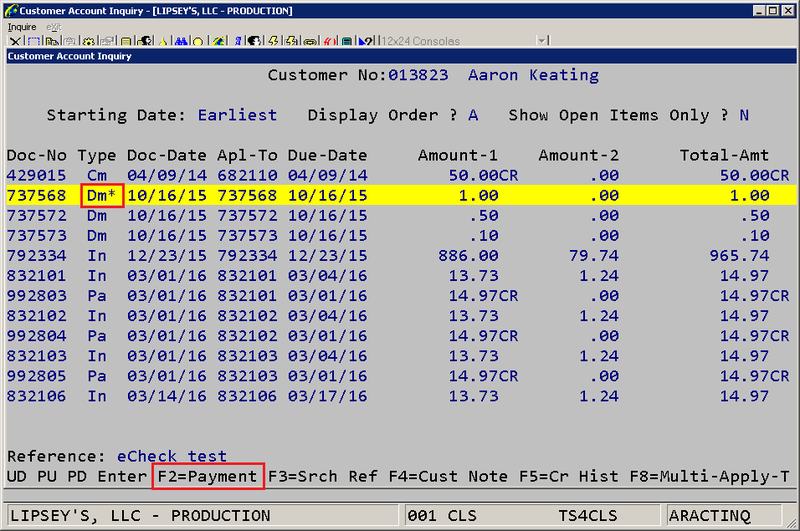 Q - On the Accounts Receivable Customer Account Summary screen, what do the asterisks mean next to the "I" in the type field? Some open invoices have the * and others do not. A - The asterisk means there’s a payment pending to be posted in AR Cash Receipt Transaction Processing. This is applicable to both A/R Account Inquiry and Account Summary Inquiry. When you see an asterisk on the highlighted document, you will see the option to press F2=Payment. Pressing the F2 key will display information about the pending payment, such as the batch ID, cash receipt date, amount and the reference. 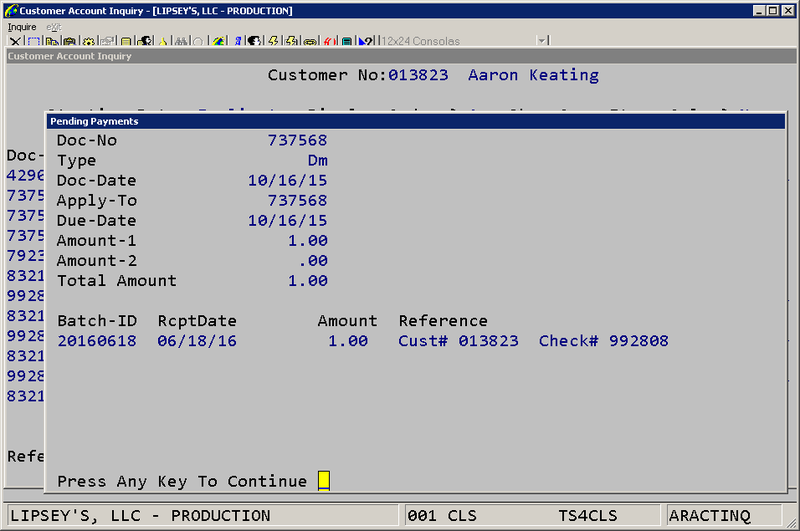 This screen will display up to five pending payments for the document number selected.